A good toy is a toy that serves a purpose more than just entertaining your young ones. If you visited Toys R’ Us you’ll know that finding the right toy is really hard because you simply don’t know what your toddler will like. I have a box full of toys at home and sometimes, no matter how much I have spent or how many top rating the toys has, my son prefers to play with an empty bottle instead. That being said, I have put this list together to help you find toys that your young child is likely to like. This cheap toy has saved me countless times. It is a simple toy, you press the button and it plays classical music: Mozart, Vivaldi and Chopin, and another composer I didn’t recognise (let me know if you have the name of the composer). The great thing about this toy is that your toddler can chose how long he wants to listen to the melody before pressing the button again. It’s not like the toys I had when I was young when you pressed once and had to listen to 45 seconds of music before you could change to the next. You also have two different volume settings which is great: one for the calmer night playing sessions and one that you can use in the car or on the bus where there is more noise. 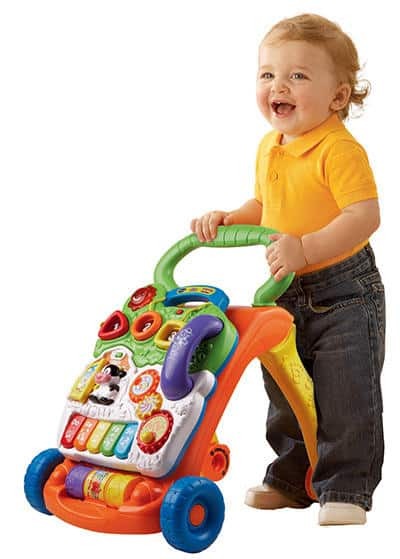 Another one from Baby Einstein – a brand you should check out as they have a range of great toys for toddler. 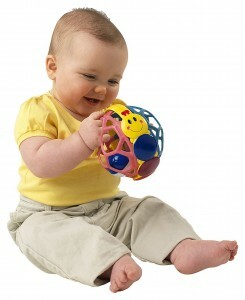 This simple toy is perfect when you need to distract your toy when feeding or in the car. It is soft and flexible and easy to grab. You toddler will grab it with both hands and shake it and trow it to see it bounce. It’s also good to chew and don’t worry about it losing it’s shape – it’s not really that bendy, it bends just a little. My son started to play with a normal ball but got a little bored when he realised he couldn’t do as many things with it as with the Bendy Ball. This is just like LEGO, but for toddlers (I also believe a lot cheaper than LEGO). 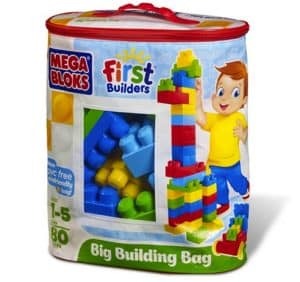 In this 80-Piece bag you get a variety of blocks in different shapes and colours that you can assemble any way you want. There is no right or wrong way to put these blocks together, which just as well – taking the pieces apart is just as fun as putting them together! The bag also comes very in handy and my son likes tiding up after the paying session by putting the blocks back in the bag again. A bonus is that older children seem to like this toy as well. My son often plays with an older toddler who is approaching 4, and he is equally fascinated but this fantastic toy. I bought this when I was in NYC and it is not a very popular toy in the UK (yet?). 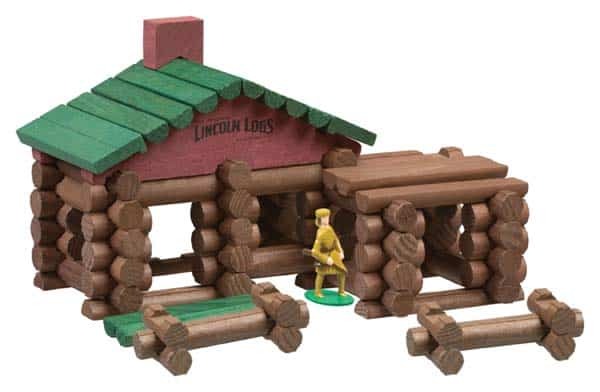 This set is the classical Lincoln Logs Set with all logs in wood, not plastic, and they come packed in a round pretty tin. My son loves putting things together only to take it a part again and these logs are perfect as you don’t need to put them in a specific order as you do with DUPLO or LEGO. The fact that the logs are made of wood does make a difference. Not so much because it feels less cheap (and to be fair, at £55 it’s one of the more expensive toys I have bought) but also because the tactile experience for your toddler is different than with plastic. The logs have a bit of weight to them and they also make a nice sound when struck together. In the tin you get 70 wood logs, 10 green wood logs, 2 green wood roof slats, 2 red wood roof eves, 1 red chimney, 1 metal frontiersman and instructions. I hope this list has given you some good ideas for what toys to buy for your toddler. If you liked this article, please follow me on Twitter. These are some great ideas, especially the building ones. My son loves balls and cars too. My daughter loves the bendy ball. Such a great little toy!